Fly with a family-owned, father-and-son business. 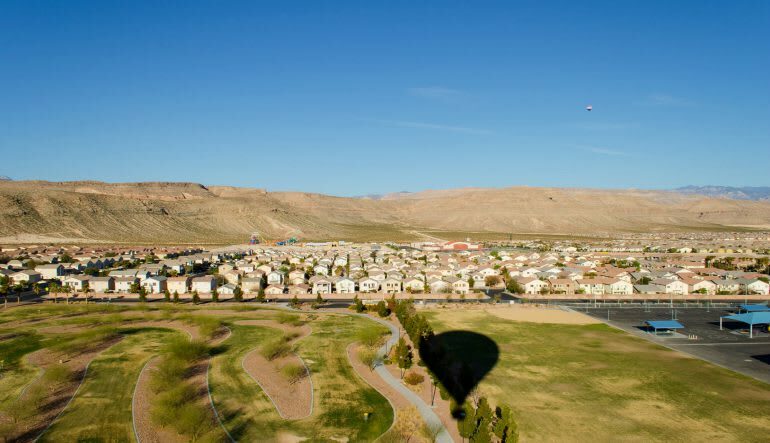 This Las Vegas balloon ride sends you soaring above the Valley, where for over an hour you’ll gaze upon panoramic beauty! 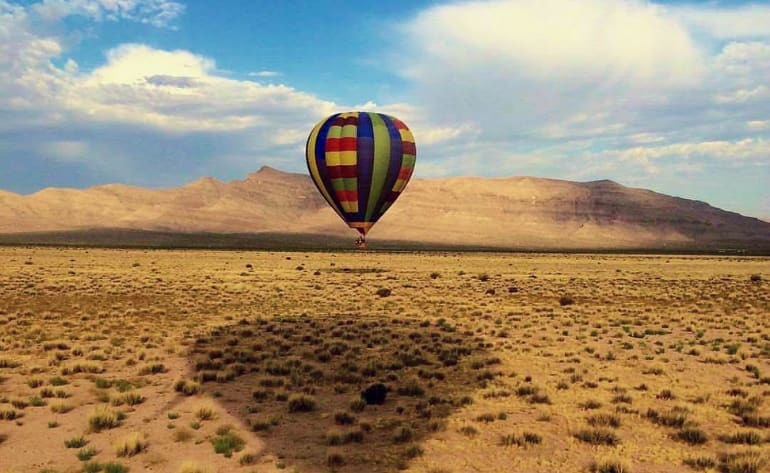 The perfect pairing of leisure and adventure time, ballooning is a sport that gives you the best of both worlds. 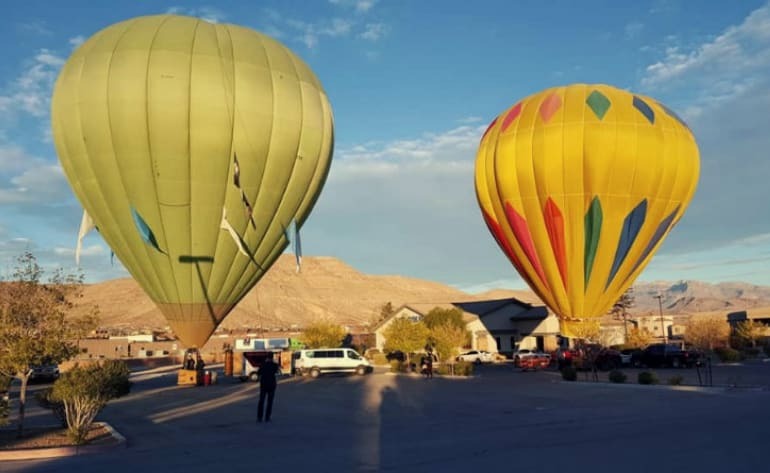 The wild sensation of drifting 1,500 feet sky-high is an enduring venture, particularly when it’s in an apparatus guided by the elements alone. Free shuttle to and from your hotel - getting there is a piece of cake! Along the way, more than a few photo opportunities are at your disposal. And after the flight, celebrate the land with some bubbly and morning grub to refuel. Toast your captain and enjoy a full breakfast! Dough our captain and his staff were amazing. My fiance and i felt safe and entertained with jokes, knowledge, and just conversing with them because they are an amazing group of people. I would prefer them to anyone! Great morning in the balloon. Stunning views, stunning location. Thanks to all the crew on board and on the deck. The pilot and crew were fantastic and really made us feel safe and comfortable. It was a GREAT EXPERIENCE!!! Amazing experience and the team was awesome!